But being mindful of this isn’t necessarily an innate skill, it’s one that’s learned from a very young age, and habits are hard to break. Mental health, or mental well-being has become an increasingly popular topic over the years, and with great merit. I’ve always been a firm believer that there’s no health without mental health, but until I watched “Heal”, I don’t think I truly understood at what depth. In this documentary, they share an example of a woman who seemed to be doing everything right to take care of her mental health and overall health, but after she got very sick and dug deeper, she realized that her mind wasn’t in a healthy state after all. Once she peeled back the onion, she discovered things from her past that were still causing her a great deal of pain. I found this fascinating, and it totally hit home as I’ve had moments similar to that one where I realized that things I had buried so deep that I didn’t even know they excited, still haunted me, affected me, and hurt me. I had so many takeaways from this documentary that I wasn’t able to capture them all, but here are a few. If this peeks your interest, I encourage you to watch it; it’s free on Netflix both in Canada and in the USA (thanks for checking the American Netflix for me, Tamara)! Given the right environment, the right conditions, the body can heal itself. Overall cause of disease is stress. There are three kinds of stress: physical stress, chemical stress, and emotional stress. These all knock us off balance. When you are constantly in the fight or flight mode, you are taking away energy that is needed elsewhere in your body – memory isn’t as sharp, immunity lower, etc. We tend to treat symptoms as opposed to getting to the root cause. This isn’t whole body, but rather a band-aid. The power of belief is almost everything. You’re either in fight or flight, or you’re in rest and repair and it’s your beliefs that toggle that switch. The mind is so powerful and I think we undervalue its strength! 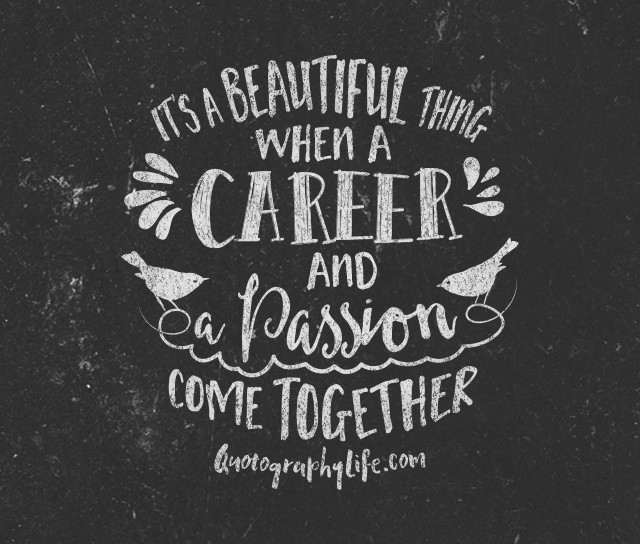 After watching this documentary, I was left with more questions than answers, and I longed for time… time to take care of myself, time to try different things to boost my mental health, time to peel back the onion to see what I could discover, time to heal, time to reflect and see what I am teaching my boys, teaching my students, time that no matter the circumstances, I’d never have enough of. So, instead of getting overwhelmed with all of these news ideas, I’ve decided to focus on one, just one: the impact of our words. A few weeks ago, I read a couple of books to my students about the power of our words. 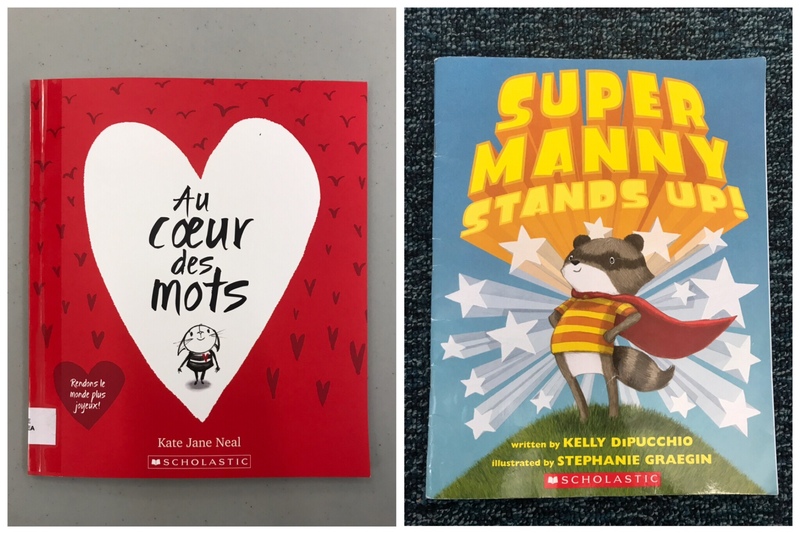 Picture books are one of my favourite tools in the classroom since it’s always easier for students to relate when they can see their world in books and through a variety of different characters. I also showed them this video, tied to Pink Shirt Day here in Canada, which is a day that raises awareness around problems linked to bullying, both online and offline. Then, my students drew a heart on a coloured piece of paper, wrote their name in it, and cut it out. Once we were all done, we sat in a circle and we took turns being unkind to our hearts, just like the group of kids had been in the video. We crinkled our hearts as our crippling words spilled out of our mouths. We then tried to make things right by apologizing our heart, but quickly realized that as we did, and as we smoothed out our hearts again, there were still crinkled lines that wouldn’t go away. Our. Words. Matter. We took this a step further by talking about how our hearts might not be someone else’s; it might be our own heart. Negative self talk isn’t something that we talk enough about, and its effects are detrimental to a student’s (well, actually anyone’s) well-being. It’s easy to be unkind to ourselves, and this is a very slippery slope as our minds believe our words. This is exactly how mantras work, if you repeat a phrase as if it’s a reality over and over and over again, your mind believes it. Not I will be, or I can be, but I am. 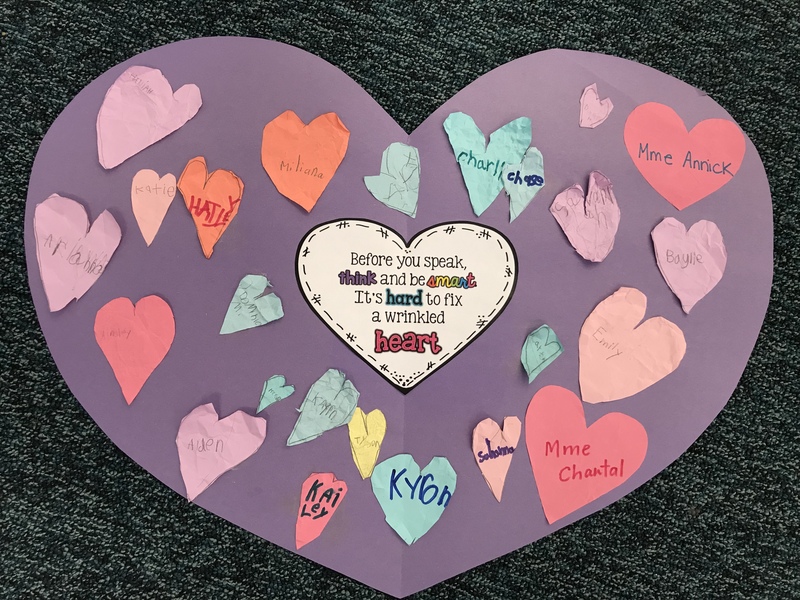 We concluded our activity by gluing our wrinkled hearts onto a big heart and hung it up on our classroom door as a constant reminder that our words matter, to ourselves, and to others. What would happen if more lessons like this were done in our schools and in our homes? Would it impact our children now and as they grow older? Would they be better equipped to take care of themselves? Would they be more likely to seek out help when they need it? Would stress and anxiety decrease? Would diseases lessen? I don’t know, but I think it’s worth trying. I’d love to hear what social-emotional lessons you are sharing with your students in class and how it’s impacting them. If you are looking for books to help you, as an educator, with your mental health, check out Dan Tricarico‘s two amazing books, The Zen Teacher, and Sanctuaries. 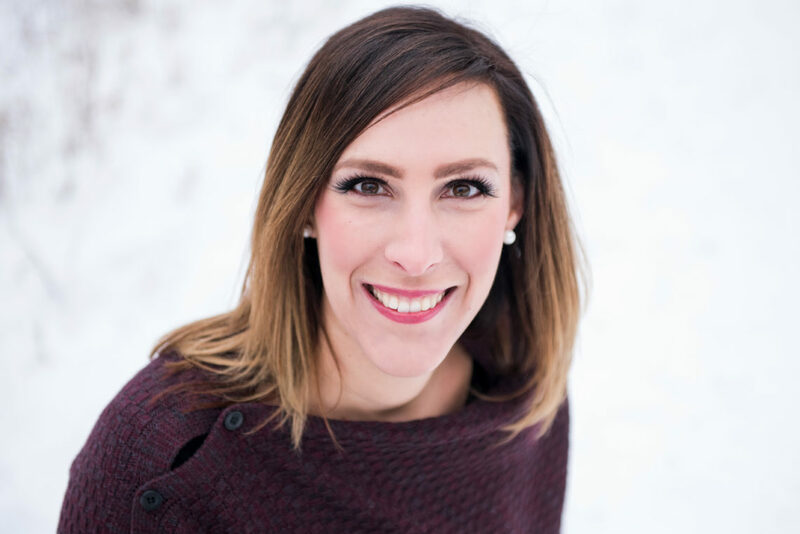 If you are looking for inspiring and powerful ideas on how to build empathy and spread kindness, both yourself and with your students, take a peak at Tamara Letter‘s incredible book, A Passion for Kindness. 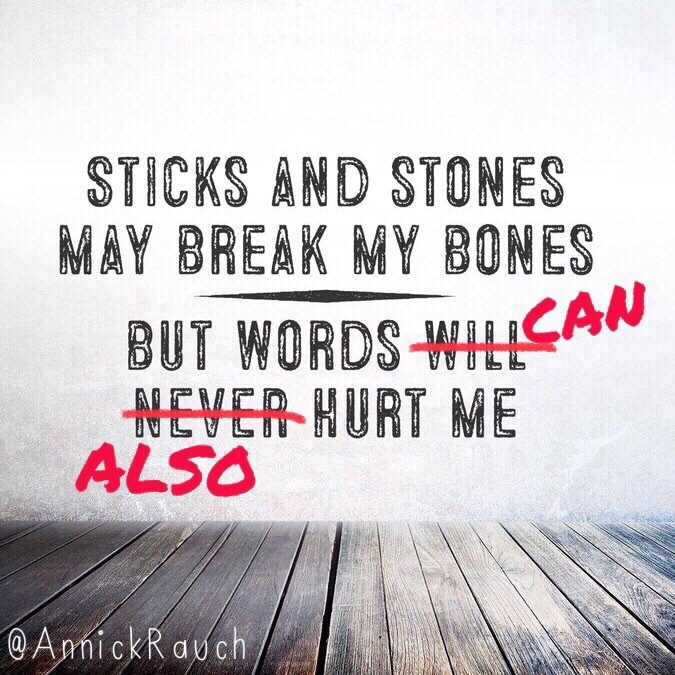 Annick, I’m with you – words are so very important – the ones we say from our mouths, and the ones we say in our heads. Keep things positive, and the trend will keep going that way! Thank you for sharing! !